Normally this type of post would be in my professional blog… “Tag You’re It,” however many of my friends and family outside of my professional circle are not familiar with my present position as an Instructional Technology Specialist. I wanted to share with those outside of my professional circle and provide a window into an exciting experience I had in early February. The first week of February for the last two years I have traveled to Austin, Texas with my fellow district Instructional Technology Specialist (IT Coach) teammates to the annual TCEA Convention and Exhibition. It is a week long time for those of us in instructional technology to learn, collaborate and share our experiences and take a focused time to beef up our professional learning. It is the place that I get inspiration. I also find ideas that help me facilitate experiences like Skyping with industry experts and connecting with other educators to support one another as we implement new ideas. One such connection is in the incubation stage right now with my friend and colleague @lunaggie (Brandee Brandt). 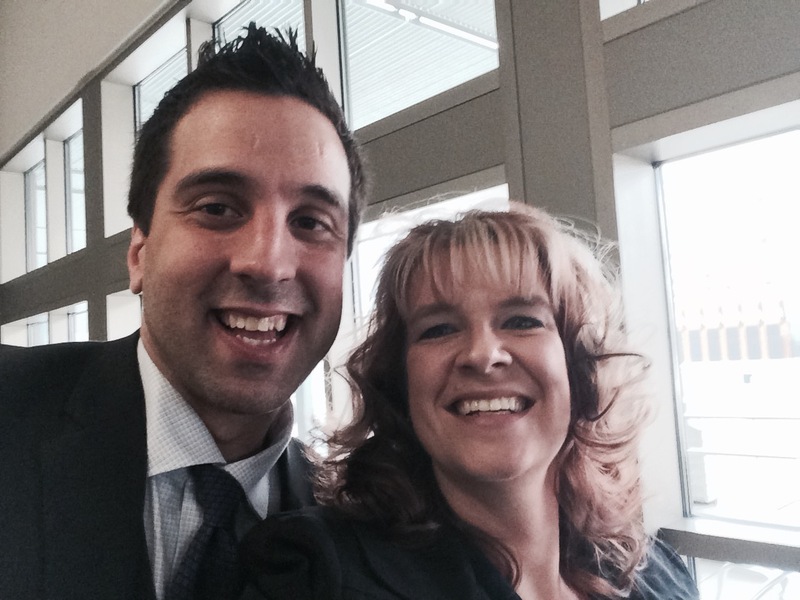 Never miss a chance to take a selfie with George Couros. He is the #selfieking! If you haven’t seen his TEDtalk on #OurVoice you must!!! It is here I am fueled with urgency and need to get back to my campuses and share the message of how vital integration and digital literacy are to our students and their future. It is here that I become more resolute in my belief that pedagogy comes before any digital tools. It is here that I am re-invigorated, reassured and validated that passion based learning and student-led learning is the path to authentic student learning. It is here I get to connect with Twitter colleagues like Eric Patnoudes (@NoApp4Pedagogy) and George Couros (@gcouros). Here I am among others like me, so that when I return to the four elementary campuses and one middle school I support and guide, I am ready with a toolbox of ideas and a mission for facilitating dynamic learning environments. This time provides me with the resources that help me to push others, help learners take risks, and redefine their learning through how they leverage their technology. It is an awesome job. Thanks to colleague Tom Kilgore (@Tom_Kilgore)- founder of #txeduchat who captured me in action at the end of the PD on “Starting a Twitter Chat in Your District”… he even caught the back of new friend Brandee Brandt (@lunaggie)! On this same trip I got to experience something new as well. Presenting two different professional development sessions within two hours of each other on two different topics. Presenting, while I have done many, are still very nerve-racking. #1- the rooms are set up in a very traditional, lecture style format. 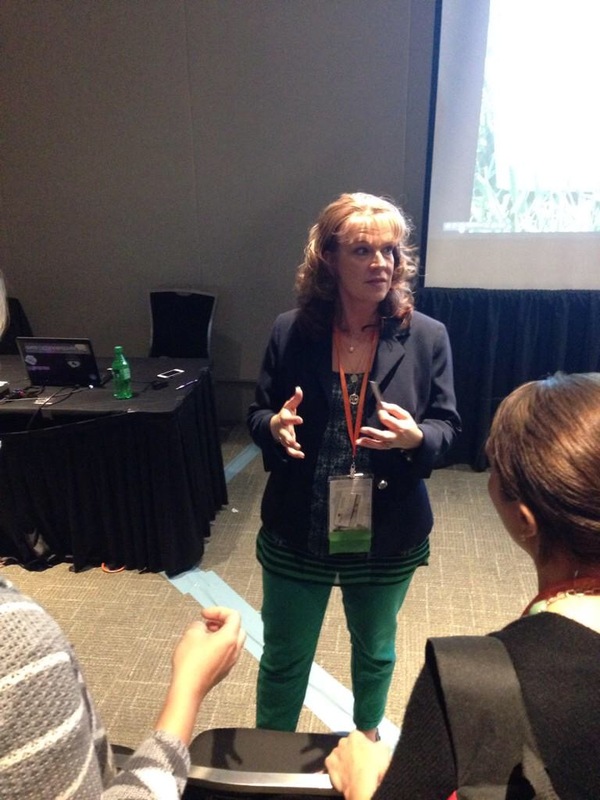 I love to “work the room” and much like my teaching style… I do not like to stay at the front of the room. Typically the rooms for these sessions are set up with 150 to 200 chairs with a “lecture table” at the front and a projector sitting in the aisle at about the 3rd row. Walking the aisle is even a challenge. So for me that is a huge “mental” barrier for me to overcome, as it is directly counter to the way I like to deliver information and interact with my audience. #2- You don’t know what type of audience to expect or what experiences they come with to the session. This makes differentiating and making the professional learning as personalized and individualized as possible very difficult. 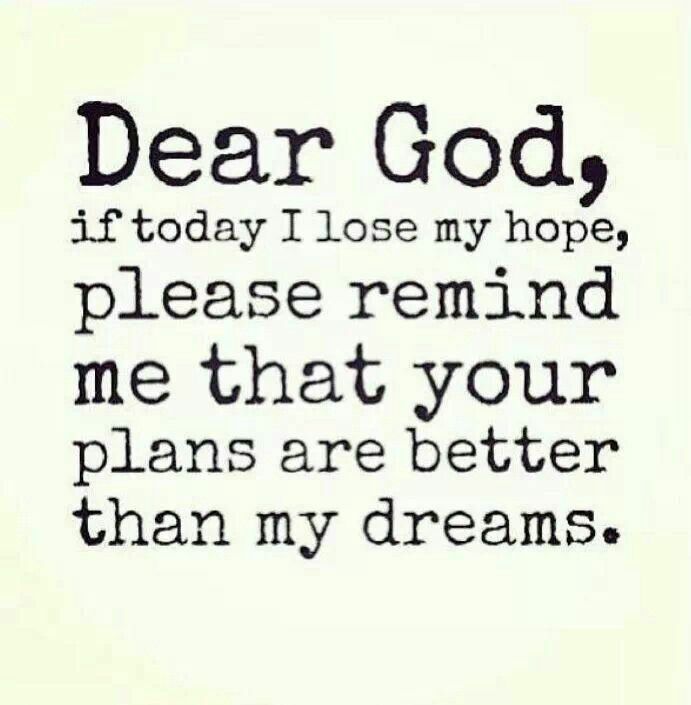 This makes me nervous as I don’t want to overwhelm nor do I want to waste anybody’s time. So those two factors alone make me a bit frazzled when presenting. However, I do believe that the message I have to share is of great value for learners (both educators and students) everywhere, so I feel that despite these barriers… it is still imperative to share. 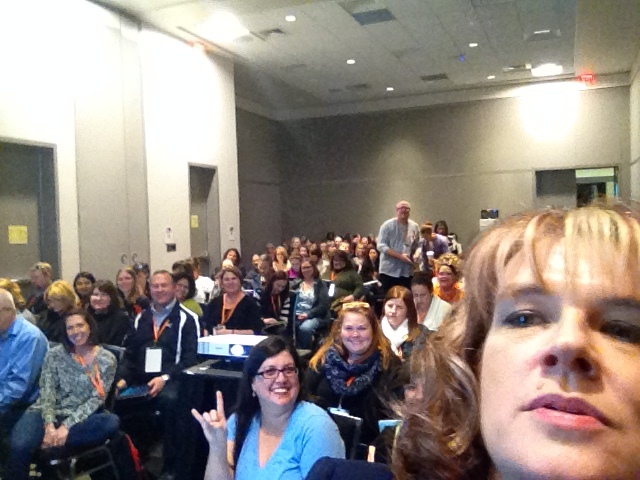 A selfie with “The Why of Genius Hour” audience at TCEA. The first session was on “Starting a Twitter Chat for Purposeful PD in Your District.” The room seemed to swallow the group of 20-ish. However, the four or five that came up to chat with me afterward, were passionate and it was exciting to continue the conversation knowing that the insight and experience I had shared was now going to carry on and transform learning for others. The second session has become something of a standard presentation for me. Two years ago I traveled down the path of trying “Genius Hour” in my classroom. It was the most amazing experience. It is a message I cannot keep to myself. Every time I present I expect that its message will have run its course, but every time the audience grows and this time it was no exception. To a standing room only crowd I shared my journey, resources and passion for “Genius Hour.” It was an awesome experience and what first overwhelmed me with the size of the crowd was soon gone, as I knew I had a message to share and audience eager to hear it… this was the opportunity to once again transform learning for students and teachers. I look forward to my next opportunity to go to the TCEA convention to learn, share, collaborate, connect and grow. I do have to say this is probably one of the most exciting experiences I have ever had at a professional convention, but hopefully you get a sense of what I do… maybe not on such a big scale, but every day I am working with learners of all ages, experiences and passions to help create opportunity for them to transform learning for themselves and those around them. How you ask? Through a philosophy of great teaching practice, a deep belief in relationship building and through the leveraging of technology. 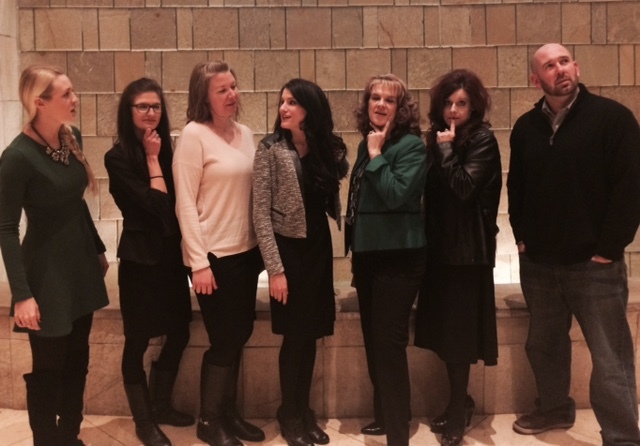 How are you transforming learning in your community?